Your career (and your business) is not a 6 lane highway where you can keep speeding in a single direction. 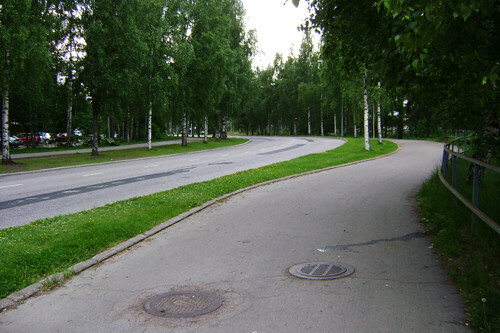 It is a curvy road that throws up a lot of unexpected situations. Economic downturns, changes in demand/supply and such uncertainties. You cannot control any of these situations, but how you respond to them is totally in your control. One thing is clear: We need to get comfortable with chaos. Comfortable doesn’t mean that you let chaos happen around you and choose not to respond. Being comfortable with chaos means being more responsive to chaos and creative in spotting opportunities around. It is important to see your career as a journey and not a destination. It evolves and emerges, presenting new avenues and challenges as you march forward. You can seize them or leave them. Things like past success, experience and position can sometimes bind and blind us from seeing new opportunities. But we only learn new things when we do new things. And chaos/uncertainty is the best time to attempt something new. In fact, chaos is an integral part of doing anything creative – be it writing a piece, painting a picture or building an organization. They call it “creative tension”. In fact, it is a fuel for creative juices to flow. Uncertainty is ubiquitous and how to respond to uncertainty is a choice we have to make. It is an opportunity. It is this choice that makes all the difference to your learning and growth.